Briefly noted: P Singh et al. Clin Gastroenterol Hepatol 2018; 16: 823-36. After a systemic review which selected 96 articles from a pool of 3843 published between 1991 through 2016, the authors determined a pooled global prevalence of 1.4% in 275,818 individuals based on seroprevalence (positive TTG or EMA). 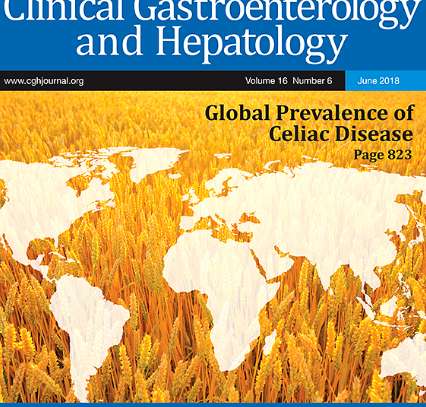 Biopsy-confirmed celiac disease was noted in 0.7% in 138,792 individuals. In their study, biopsy-proven disease was most prevalent in Argentina, Egypt, Hungary, Finland, Sweden, New Zealand, and India. This entry was posted in Gastroenterology and tagged celiac disease, epidemiology by gutsandgrowth. Bookmark the permalink.